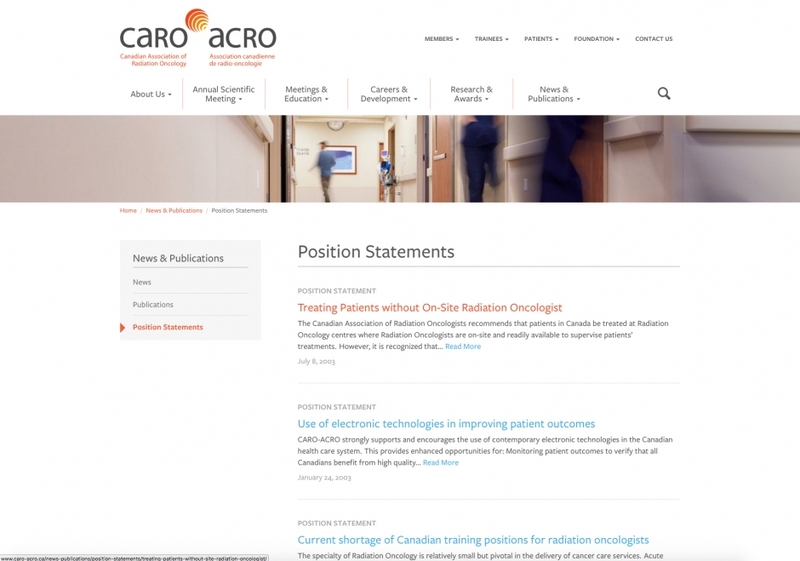 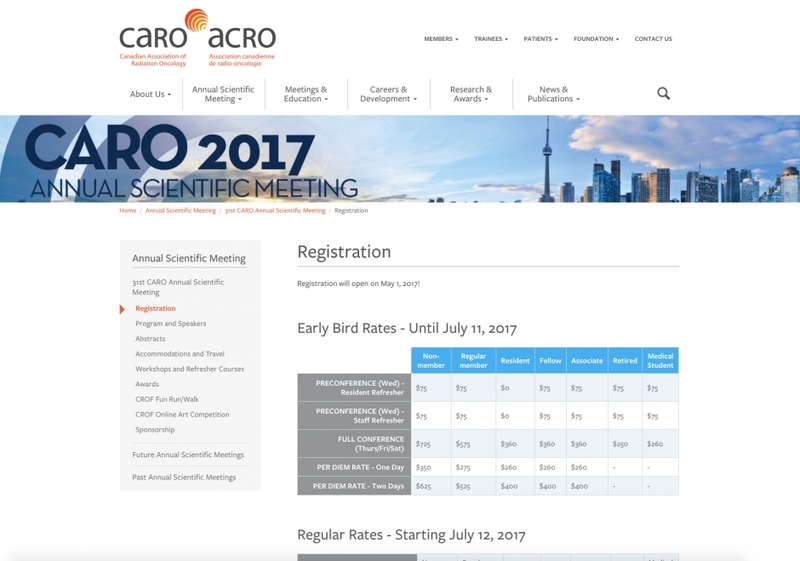 The Canadian Association of Radiation Oncology (CARO) promotes and supports professional and development training for Canadian Radiation Oncologists, public education and awareness about radiation oncology, and collaboration with other healthcare disciplines. 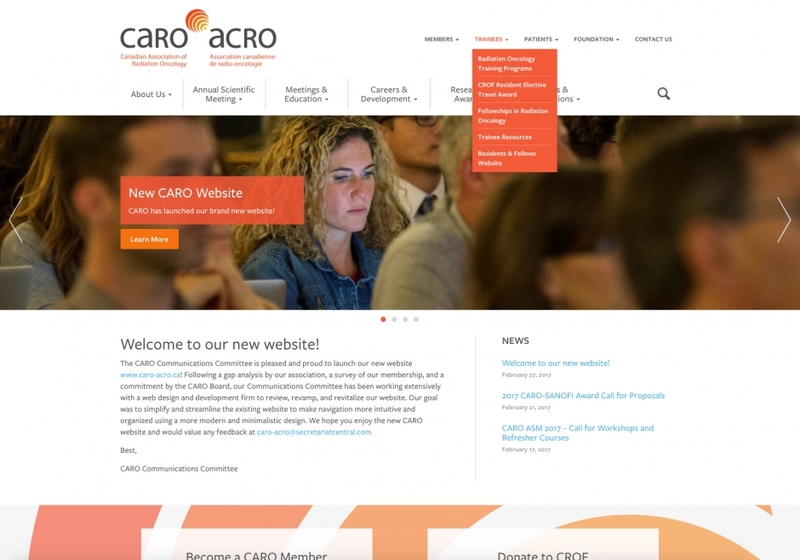 Project Summary: CARO needed a new website that was cleaner and easier to navigate and update. 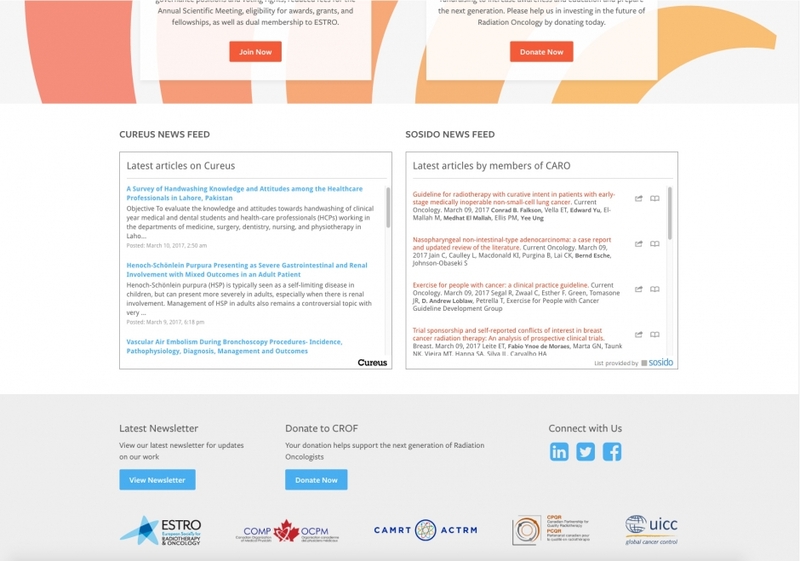 Because of the wide breadth of information they provide to their members, as well as the general public, their previous website had become cluttered, difficult to use and hard to maintain. 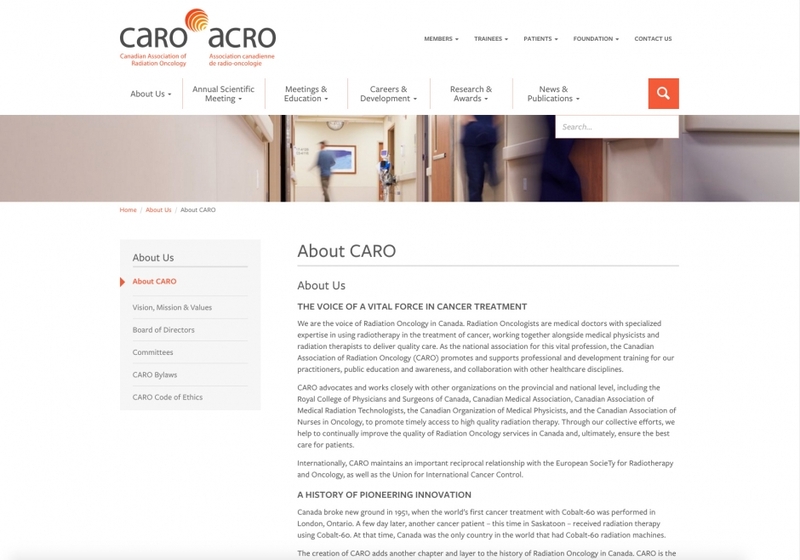 Pixel Designs worked with CARO to re-organize their website content, then designed and developed a fresh new custom WordPress site for CARO that allows them to easily update their site with news and up to date information for members, patients, trainees and the general public.